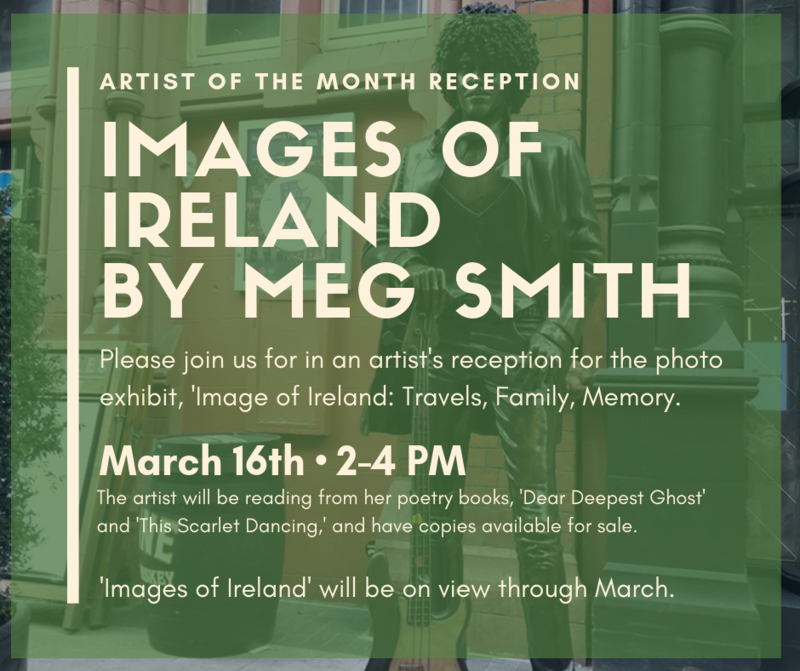 ARTIST OF THE MONTH RECEPTION THIS SATURDAY AT BATV! 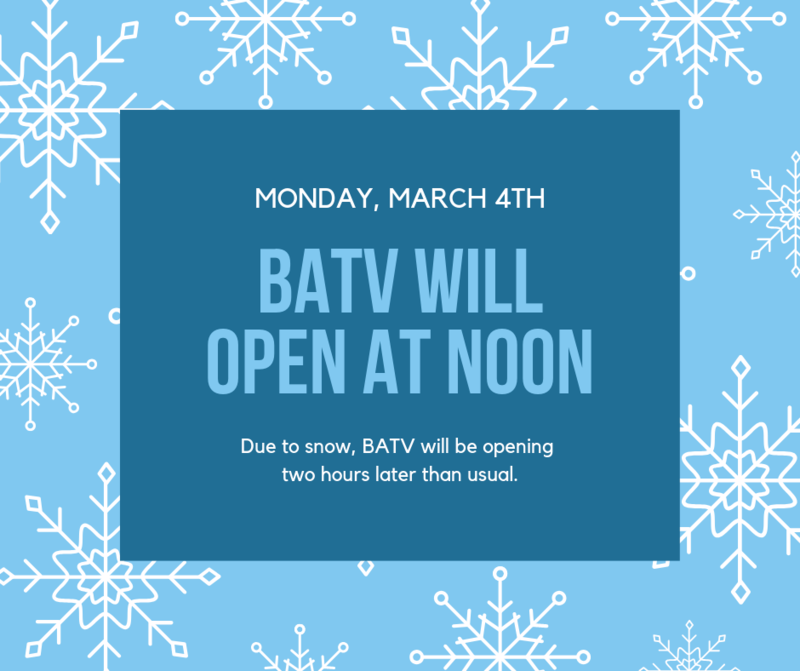 ATTENTION BATV MEMBERS - RSVP for the Annual Meeting by March 6th! The Annual Meeting of the Membership will be held on Thursday, March 21st. This evening is complimentary for all BATV Members. 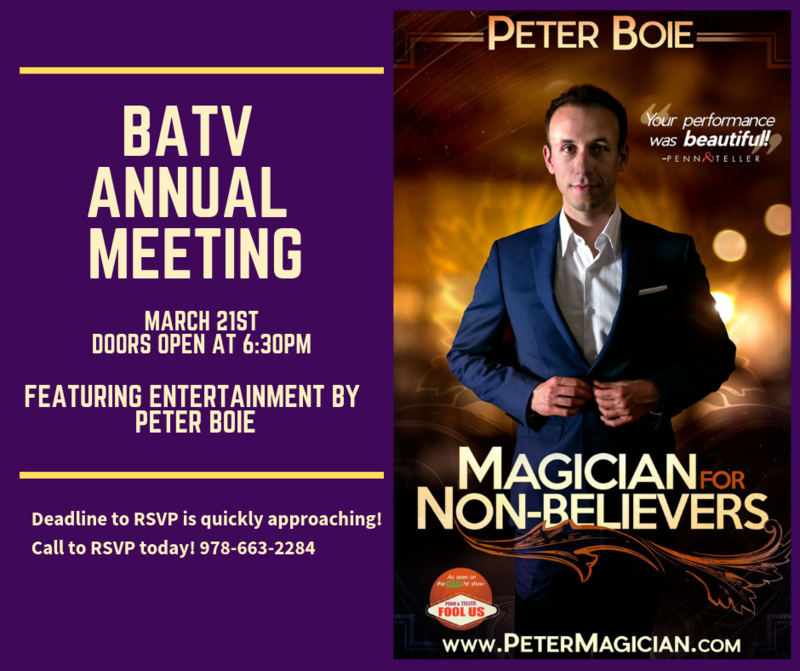 ​BATV Annual Meeting of the Membership is Magician Peter Boie! The Minutes from the March 15, 2018 Annual Meeting of the Membership can be viewed HERE. 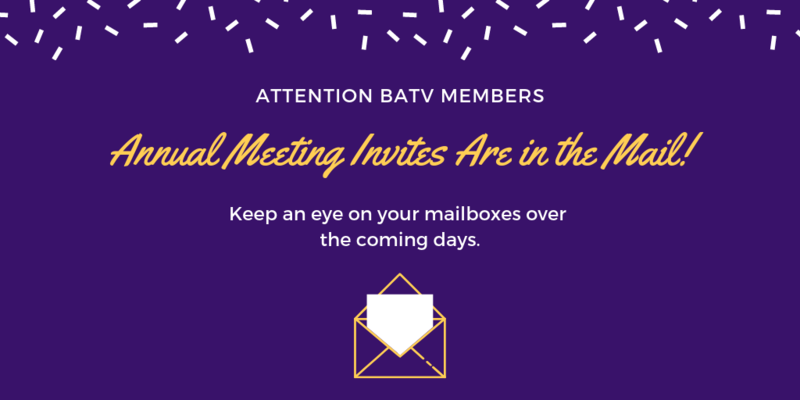 BATV Annual Meeting invites are in the mail! 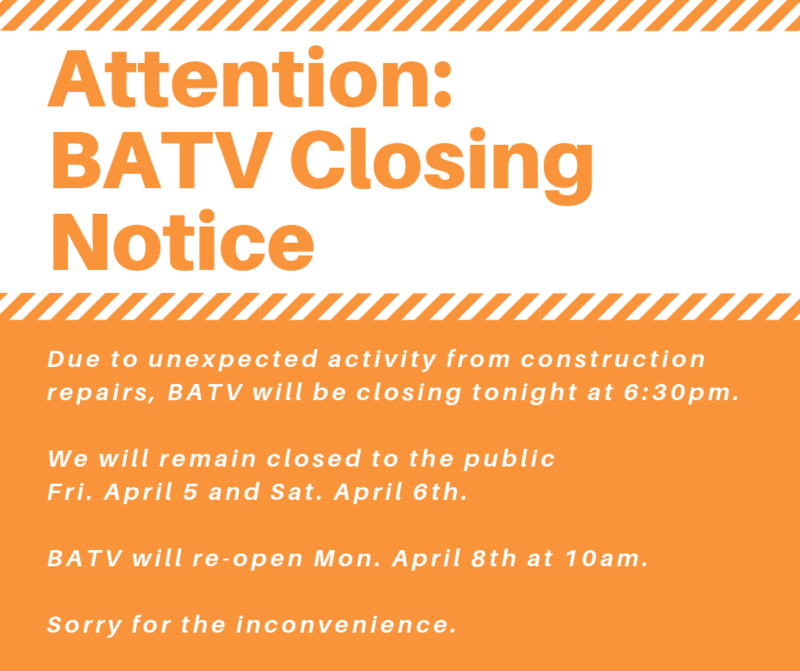 Invitation have been mailed out to all current BATV members. ​Keep an eye on your mailboxes for Annual Meeting invites and be sure to RSVP!